Parallel to the commercial and service activities, Enamor conducts a number of research and development projects to develop and implement state-of-the-art equipment for the safe, economical and ecological operation of ships. Enamor Ltd. is implementing the “SEAPERFORMER – ship efficiency management system, a tool for reduction of ship’s operation impact on environment” project, no. POIR.01.01.01-00-0933/15. Project has received a funding from European Regional Development Fund under the Intelligent Development Operational Program. The project will develop a prototype of the ship efficiency management system, combining the functionality of a data processing system and a network of distributed sensors to identify the conditions and conditions of ships operation. An analysis of the collected data will allow to receive an operational model of the unit, which will allow optimization of navigation parameters to reduce operating costs and harmful environmental impacts. Project value: PLN 2 857 836.64, including the contribution of the European Regional Development Fund: PLN 1,959,528.48. Enamor Ltd. in cooperation with Sport na Zdrowie Fundation (Sport for Health) is implementing “AstmaMon – Mobile Asthma Monitoring System with miniaturized peak-flow meter” project, no. RPPM.01.01.01-22-0045/16. 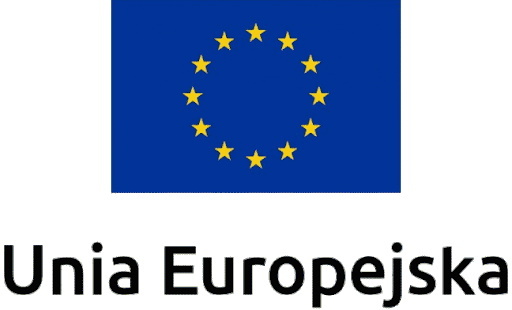 Project has received a funding from European Regional Development Fund under the Regional Program of Pomeranian Voivodship Operation for 2014-2020. The aim of the project is building a small and convenient child-friendly pico-sensor, as well as developing mobile applications for wireless data acquisition, data processing and client application to access the system. The solution is being designed to allow for ongoing monitoring of selected health parameters of children with asthma, as well as early detection of disorders, enabling faster response. Project value: PLN 3 987 992,00, including the contribution of the European Regional Development Fund: PLN 2 560 551,20. Enamor Ltd., in cooperation with Gdynia Maritime University and Port of Gdynia Authority S.A. is implementing “Developing a prototype of monitoring system of quayside load and bottom straightening in ships’ mooring zone with implementing ready to use product on the market by Gdynia’s Enamor Ltd.” project, no. RPPM.01.01.01-22-0063/16. The aim of the project is to develop a prototype of innovative monitoring system of quayside load and bottom straightening in ships’ mooring zone. The system will retrieve and process the data connected to dynamic pressure on port quay. The reported data may allow to reduce an operating costs of bottom strengthening in the wharf area. Project value: PLN 835 245,34, including the contribution of the European Regional Development Fund: PLN 561 414,27. Project value: PLN 443 250,00, including the contribution of the European Regional Development Fund: PLN 195 030,00. The aim of the project is to increase the competitiveness of Enamor Sp. z o.o. on the European and global maritime automation market, by offering new and significantly improved products. The result of the project is to create prototypes of devices, in accordance with the offer inquiry, by the Innovation Center of the Maritime University of Szczecin Sp. z o.o. The author’s concept includes a number of solutions allowing the implementation of an innovative EFCM Fuel Consumption Monitoring System as well as a completely new measurement data processing registration module. The obtained results of R & D works will be implemented into the Applicant’s current activity, the markets will be diversified and the current product offer will be expanded. Due to advanced solutions and their uniqueness, the result will be an increase in the company’s innovation on a scale of at least Europe. The company, as the first on the European market, will offer products that will be the result of this project. Project value: PLN 393 600,00, including the contribution of the European Regional Development Fund: PLN 272 000. The project is being implemented under the competition No. 1 / N / 2015 and is co-financed by the National Center for Research and Development.